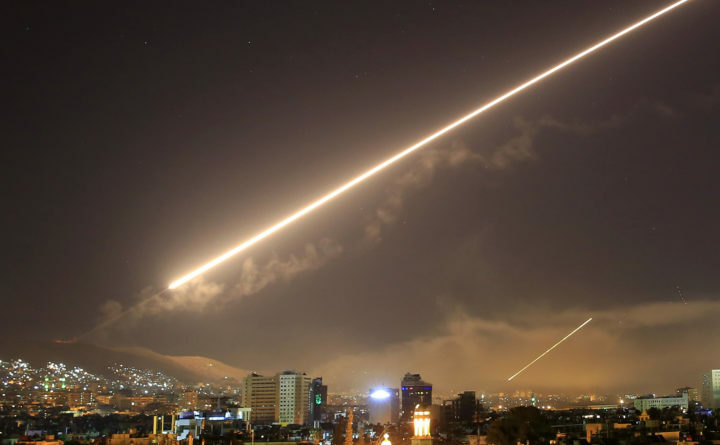 WASHINGTON — Allied missiles struck at the heart of Syrian chemical weapons arsenal in a show of force and resolve aimed at punishing the Assad government for a suspected poison gas attack against civilians and deterring the possible future use of such banned weapons. The strikes “successfully hit every target,” Pentagon spokeswoman Dana White said at a briefing Saturday, disputing the Russian military’s contention that Syrian air defense units downed 71 out of 103 cruise missiles fired by the allies. Lt. Gen. Kenneth McKenzie, the director of the Joint Staff at the Pentagon, said no aircraft or missiles involved in the operation “were successfully engaged by Syrian air defenses.” He said 105 weapons were launched against three targets, and that the U.S. was not aware of any civilian casualties. Pentagon officials said the attacks, carried out by manned aircraft and from ships that launched cruise missiles from the Mediterranean Sea, targeted the heart of Assad’s programs to develop and produce chemical weapons, and delivered “a very serious blow,” said McKenzie. 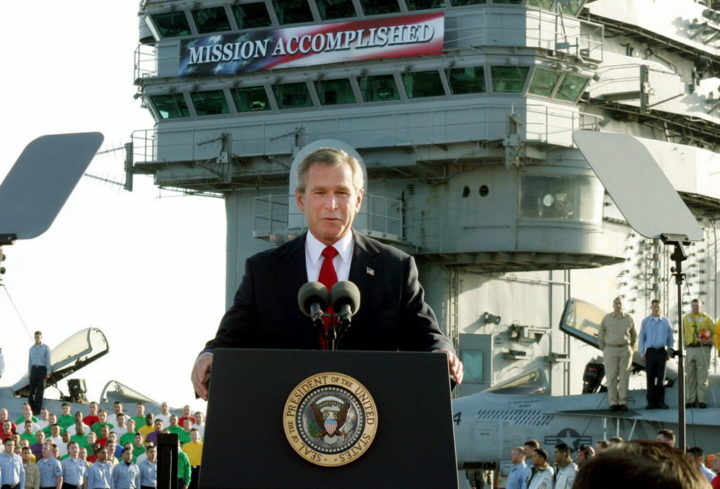 In this May 2, 2003 photo, President George W. Bush declares the end of major combat in Iraq as he speaks aboard the aircraft carrier USS Abraham Lincoln off the California coast. As he declares the U.S.-led airstrikes against Syria a success, President Donald Trump is adopting a phrase that a previous president came to regret.